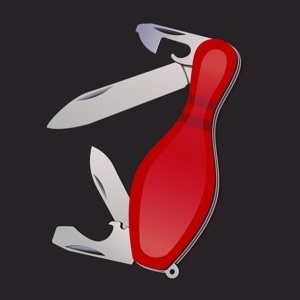 "A brilliant app with tools to help you develop and learn different skills. 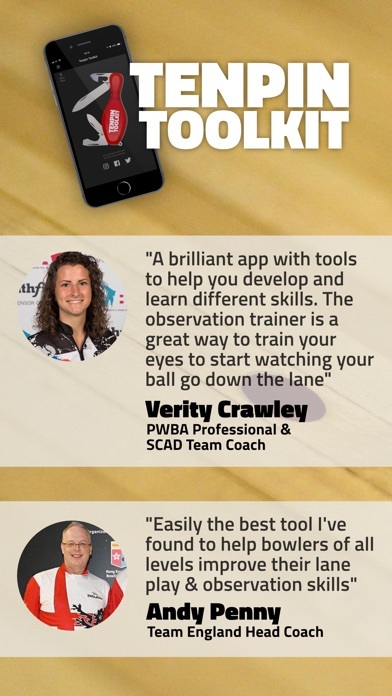 The observation trainer is a great way to train your eyes to start watching your ball go down the lane" Verity Crawley PWBA Professional & SCAD Team Coach --- "I use Tenpin Toolkit at PBA level and as a coach. The lane play portion is fantastic, with the ability to show getting the ball right quickly which is crucial on the PBA Tour. The observation trainer is really good for helping players watch the ball go off the deck and determining dominant eye to help alignment. One of the best $9.99 I have ever spent and the most realistic app in the world for what I am doing." Jim Callahan PBA Tour Manager at Storm Bowling --- "Tenpin Toolkit is easily the best tool I've found to help bowlers of all levels improve their lane play & observation skills." 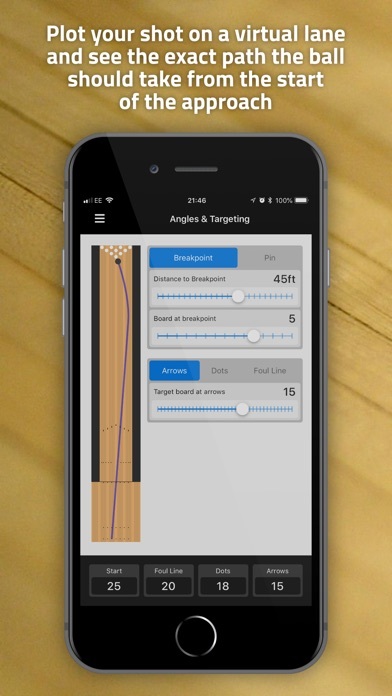 Andy Penny Team England Head Coach --- A collection of useful tools for tenpin bowlers and coaches including: - Angles & Targeting - Adjust your targets to show a shot on the lane and work out the exact path the ball should take from the start of the approach. 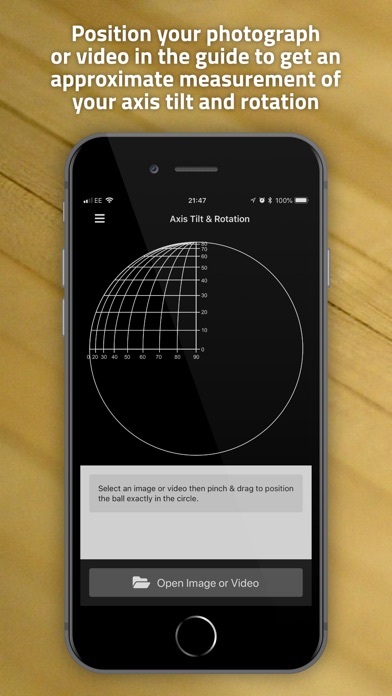 - Axis Tilt & Rotation - Take a picture or video of your ball with a PAP (Positive Axis Point) marker and position it beneath the guide to get an approximate measurement of your axis tilt and rotation. 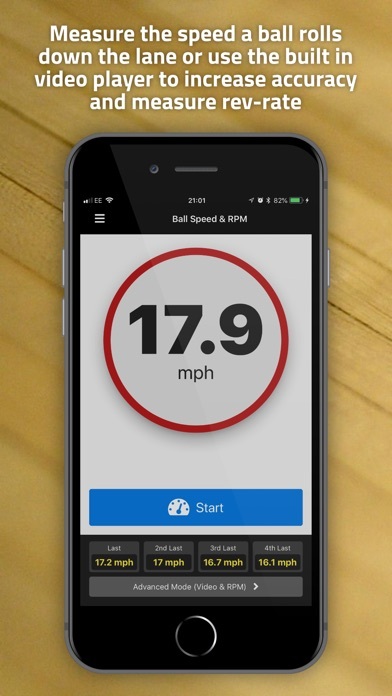 - Ball Speed & RPM - Calculate the speed the ball travels down the lane. Use a video for greater accuracy and slow the video down to measure rev rate. 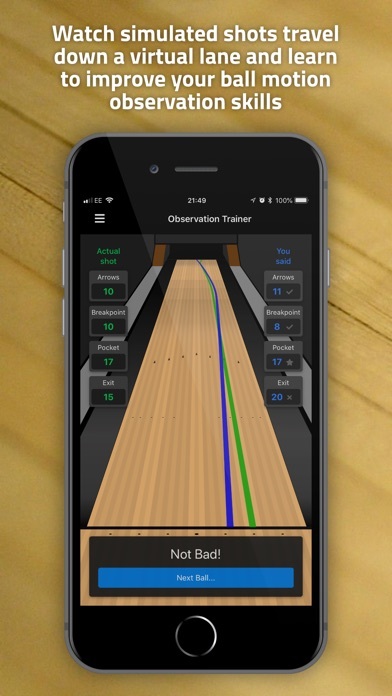 - Observation Trainer - Watch shots traveling down a simulated lane to test and improve your ability to observe ball motion. 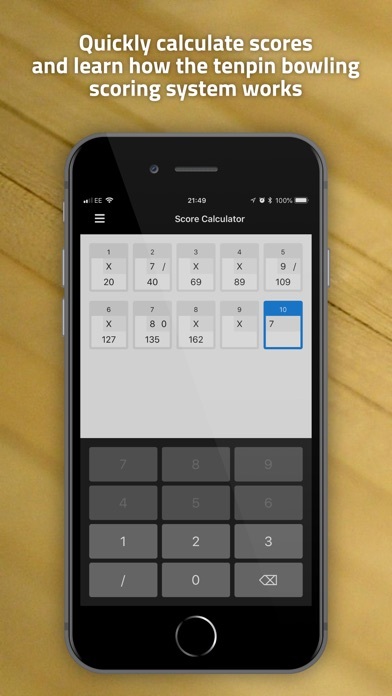 - Score Calculator - A calculator for bowling scoring and a great way for beginners to learn how the scoring system works. 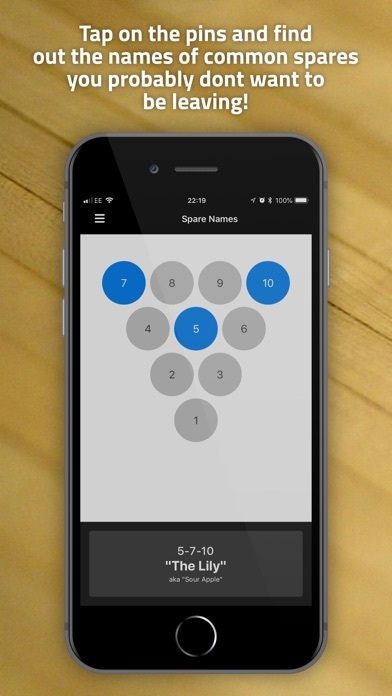 - Spare Names - Just for fun, tap on the pins to see the nicknames of common spares.